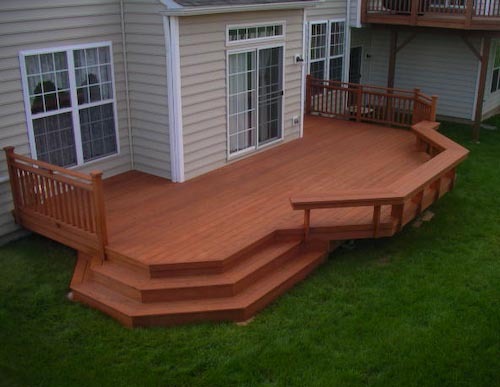 Our deck projects are personally designed to meet your individual needs. Decks are custom crafted with the finest materials available. Innovative and creative concepts influence our deck designs, coupled in contact with all of the latest decking materials and products to insure your satisfaction. Our prices are competitive, our estimates are free. Exclusively decks, as we have stayed focused on providing the absolute best in our field. We have been serving Bucks and Montgomery Counties of PA, as well as South Jersey for close to 20 years. We are friendly, responsive and proudly stand behind all of our work. We would love to hear from you! Serving Bucks county& Montgomery county in PA and Southern New Jersey.